CAMPER with Emirates Team New Zealand hold a slim advantage over their rivals today as the fleet continues to edge their way around the tip of Africa. 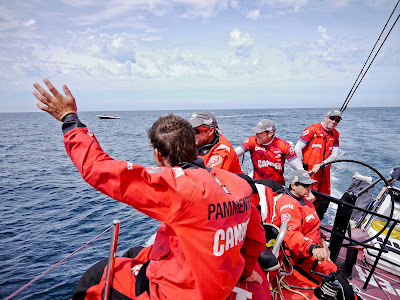 CAMPER’s advantage has been hard earned as the entire crew focus on squeezing every single ounce of boat speed out of the boat as the light wind conditions continue. 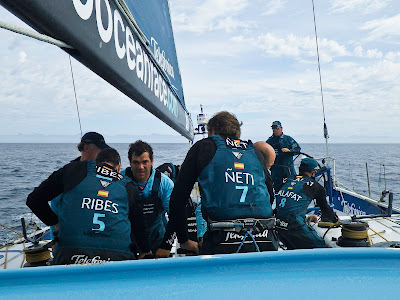 At the 1300 UTC position report less than one nautical mile separated the top four boats with second placed PUMA Ocean Racing powered by BERG, Groupama sailing team in third and fourth placed Team Sanya all poised to pounce upon any slip up from the leader. 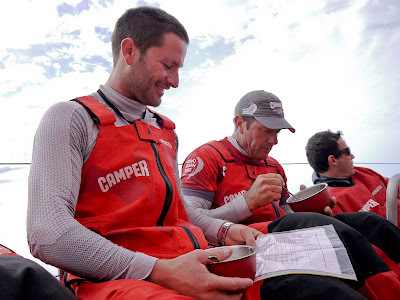 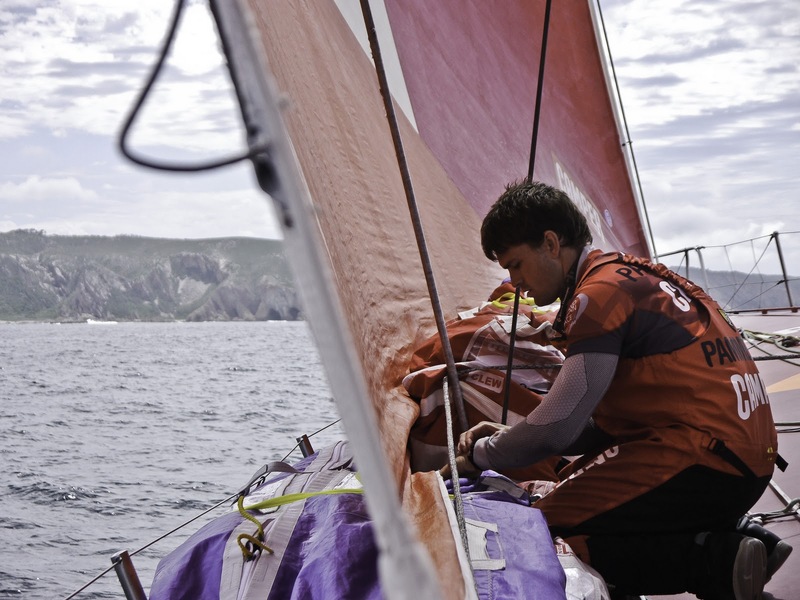 Navigator Will Oxley confessed to having had very little sleep while the CAMPER crew picked their way through way through the minefield of wind holes and adverse current close to the shoreline. 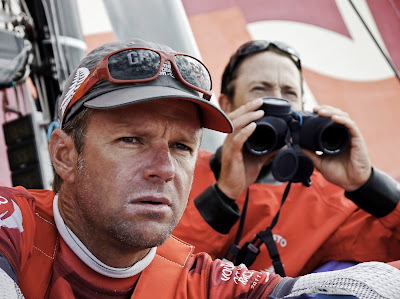 Oxley admits the route the fleet is taking so far on this leg is unknown territory for him but says the benign conditions of the first two days could soon come to an end in the next 24 hours as the fleet face the opposing forces of strong westerly winds and the notorious Agulhas Current. “It’s pretty unusual to be tacking down this South African coast. I have certainly never done it,’’ he said. “There is a whole series of lows around Africa right now and we are expecting one to come off the land and out on to the water. 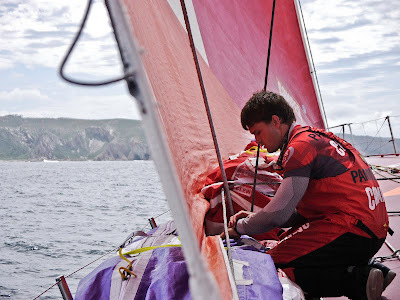 “If you are on the back of it you have a south westerly wind which could be 30 to 35 knots. 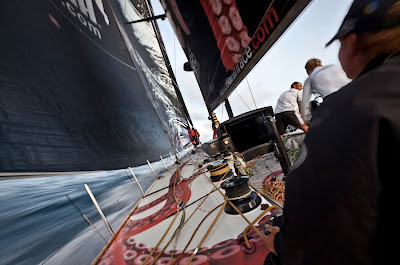 Then you have a current that is opposing it and that could mean six metre waves, which would be pretty unpleasant. The fleet is expected to start to feel the first Agulhas effects on Wednesday, before which the skippers and navigators will have hoped to work out the narrowest crossing point to avoid sailing in these potentially boat-breaking conditions any longer than necessary. 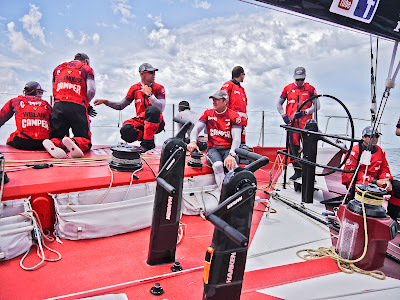 Once safely through the Agulhas the fleet could be in for some high speed sailing as two low pressure systems merge south-east of Africa creating a 35 to 40 knot westerly wind high-speed superhighway across the Indian Ocean. 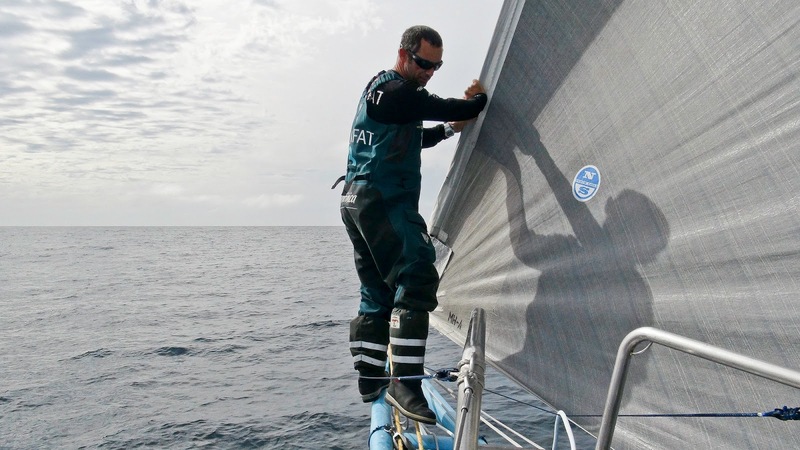 This front is predicted to move easterly in conjunction with the fleet and could create the opportunity for an IWC Schaffhausen 24 hour Speed Record Challenge attempt. 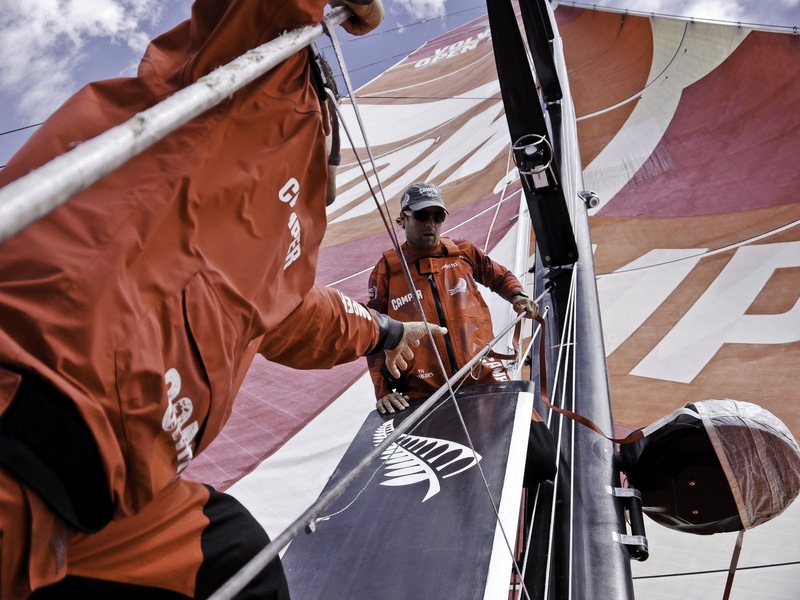 The latest weather synopsis is creating sense of urgency for fifth placed Abu Dhabi Ocean Racing and tail enders Team Telefónica who will have to fight hard to close down the leaders as they head towards the powerful low, or run the risk being left behind.